An awards program for creating positive business results is just one way Process Retail Group honors its employees’ significant achievements. 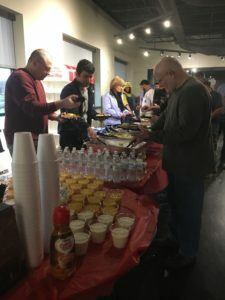 Kicking off the p rogram with an appreciation breakfast, employees from across the organization join together to celebrate and support fellow colleagues making a difference across multiple areas of the business. The Employee of the Year Award: Recognizing one individual for demonstrating exemplary performance and leadership skills, this program honors an individual for excelling in his or her role, volunteering time outside of specific job responsibilities while additionally seeking opportunities to help fellow colleagues. The “Creating Results” Awards: For contributing above and beyond in his or her role, PRG identifies individuals from sales, manufacturing, administration, design, project and account management and estimating that are making a positive impact. Jodi is known for her adept abilities in creating efficiencies where they don’t exist or proactively developing processes to overcome challenges, fill gaps or simply make better. It’s a skillset she applies to many areas of the business—from finance to manufacturing to customer service—as part of her involvement with the company’s internal ERP committee. Tim set the tone of his career nearly 40 years ago when he helped nearly double and triple sales for two leading grocery retail clients. And since then, he hasn’t missed a beat. From clients and projects large to small, maintaining the same level of superior customer service has become second nature to Tim, often investing in late nights, weekends—even vacations—to ensure happy clients. It’s this unwavering commitment that’s earned him this award, admiration among his colleagues and trust and loyalty from his customers. Rob hit-the-ground running as a new hire in 2015 and has maintained that momentum ever since. He willingly jumps into every new task, project or responsibility with a positive attitude and eagerness to learn—traits the PRG team and fellow colleagues both admire and appreciate. For also producing quality work that exceeds customer expectations and contributions to significant internal groups such as the Safety and Voice committees, Rob’s impact on the PRG business is undeniable. Michael’s passion for design has been clear since day one. He brings a can-do, energetic attitude to his work while remaining a source of inspiration and encouragement to his fellow colleagues. A wearer of many hats in his 35 years with Process Retail Group, Mike has become an ingrained part of the culture. During his long-standing tenure, he’s left an impressionable mark on many areas of the business, from manufacturing to customer service and his most recent role as Director of Major Accounts. 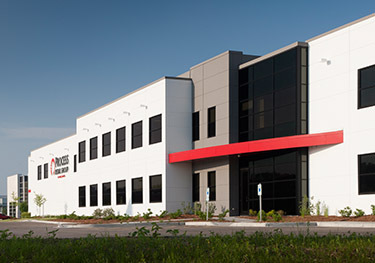 In working with Mike, his unique ability to sell the organization’s offering happens in the process of building meaningful relationships with customers. Along these same lines, one might quickly notice that he treats his everyday job as more of a lifestyle—much like when he plays the role of the consumer to better understand the products his customers sell. His continuous loyalty, dedication and commitment certainly doesn’t go unnoticed by his customers or colleagues. Wendy joined the Process Retail Group team a few years ago during a busy time of growth and therefore, transitions. She quickly moved into her role with ease, while voluntarily picking up additional responsibilities from projects to participating in company-sponsored activities. It’s all of this in addition to her unselfish, positive and hard-working and conscience attitude that makes her a wonderful teammate, resource and overall addition to the organization.